If you’re here, it means that you have probably asked the question before. 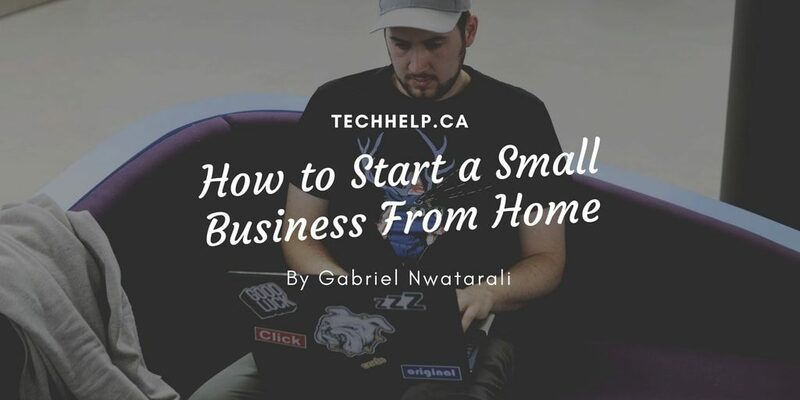 How do you start a small business from home? If you’re thinking of starting a small business, you’ve come to the right place. You have decided to take action, so congratulations on your decision. This guide will teach you how to start a business from home with little or no capital at all. Contrary to popular belief, starting a small business doesn’t necessary require a massive amount of investment, nor does it require investors. These things are only optional. The first thing that you need to understand is that you don’t have to be a startup. A startup is a company that is seeking to solve a problem because a solution doesn’t exist in the market yet. The Aeromobil AKA the flying car is an example of a startup because it is trying to provide a flying car solution to the world. This will enable anyone to fly without taking airplanes. Giving you the choice of road or air, now that’s wonderful! You don’t have to come up with a new business idea to be successful in business. For your home business to have an increased chance of success, you have to find out what people need on a daily basis and offer the solution. There is always someone that needs landscaping, bricklaying, accounting, computer repair, cell phone repair, wedding planners, welding, painting, car wash, tutoring etc. These are only a few examples but this list is much bigger. Unlike the examples above, a startup company has to go out and find new customers for their product or service. With a startup company, it’s a process of creation. The mentioned examples are needs that we already know that people need fulfilling. You just need to find out where your customers hang out and offer your solution to them. For the rest of this guide, we’ll refer to anything that you sell as a product. Whether you offer a service or an item, we will call them your product because they are what you sell. It starts with an idea and a passion for doing. Your idea doesn’t have to be new or extraordinary but it has to fulfill a need and make some business sense (It has to generate revenue). You have to decide what you want to do and consider these questions. Why will people want to buy your product? Will your business help people? This is the most important question to your success. For many of us, the answers to these questions will be obvious but some of us will need to think of these questions further. Once you have your idea and have taken the time necessary to answer the above questions for yourself, you can move on to the next step. Additionally, the main reason that you should start any business is to help people. The last question is the most crucial to your success. If your business helps people, then you will remain in business for a long time. However, if your business doesn’t help people, then you’re doomed to fail before you even start. Different business models fit different businesses. A business model is how a company or business creates, delivers and captures value. In other words, a business model is how you add value, get your customers to pay for that value and make a profit or earn income. There are four basic types of business models that you can use but don’t limit yourself. You can create your own business model, seriously! Alright, let’s take a look at the main models. The manufacturer business model involves manufacturing products and selling them to the public or a distributor. As a manufacturer, you can sell your products directly to consumers or outsource the sales to other companies. These companies are called distributors. Car manufacturers and PC motherboard manufacturers are good examples of this business model. They manufacture the product, sell it to companies and allow those companies to resell their products. The distributor purchases products directly from the manufacturer and resells them to the public. Car dealerships are a good example of this business model. Thy get the cars from the manufacturers and sell them directly to the consumer. Retailers buy products from distributors and resell them to the public. Essentially, distributors buy from manufacturers and then sell to retailers, who now sell to everyone else. A retailer may have a physical store location or an online store. Grocery stores are a great example of this business model. A franchise can be any of the business models mentioned above. A franchise can be a manufacturer, distributor or retailer depending on the franchise that you purchase. Franchises require a buy-in fee to start up. McDonald’s is a good example of a franchise. A McDonald’s franchise can require anywhere from 1 to 3 million with a minimum down payment of $500,000. There are other types of business models that have sprung up over the years. Business models such as network marketing and freemium continue to grow. With this model, a company offers you something for free like a free website and then hopes that you will purchase a premium website package after test-driving the free site. The free site is usually lacking in scalability, SEO and the website designs are not great. Also known as multi-level marketing is a business model where the company sells their products directly to consumers and encourages other consumers to sell them too. Usually, the company uses complex level qualification systems and software to track and provide residual income to qualified partners. After choosing your business model, you’ll need to choose your method of delivery. How will you deliver your product to your target audience? There are two common methods of delivery that are used today and these are online and physical storefront. This method comes with the least overhead, if any at all. Online businesses continue to grow and many of them are small home businesses that need little or no capital to run. If you choose an online method of delivery, you’ll need to cover three things. You need a professional website, an online marketing plan and a way to get paid. You can get a professional website by using a do it yourself tool like a website builder or hiring a professional web designer. You can use pay per click (PPC) or SEO to market your website online. Combined, PPC and SEO as your online marketing methods can be very powerful. You can also market your website with traditional marketing methods such as flyers, newspapers, radio ads etc. Use social media to complement or enhance your marketing and online presence. When using social media, it is important to concentrate on one, two or three platforms rather than everything. Pick the best platforms that will work well with your business and focus on them. This usually comes with a lot of overhead. In fact, the expense of maintaining a storefront can drain business revenue if the business lacks a competitive advantage. If your cost of goods sold is really low, having a storefront works well. For example, most coffee shops spend less than $0.50 cents per product. This leaves a lot of room for profit after overhead expenses. Analyze your business carefully and decide which method of delivery is best. If you choose a storefront, you need to make sure that you maintain an online presence with a live website and social media. Add your website to Google and Bing maps, including website directories that relate to your niche. In the digital age, also known as the information age, your business needs a responsive website. A responsive website is a website that maintains the user experience on all devices. Make sure that your web designer understands and knows how to set this up. This step is perhaps the most crucial of any business. You have to know and define your target audience. To start, try asking yourself the following questions. Where does my customer hang out? How can I get in front of my customer? How can I help my customer? These questions will get you started in knowing and defining your customer. You can add to these questions as you brainstorm. You should identify your target audience, group them by age and gender if applicable. In business, it is unrealistic to target everybody and you can’t make everyone happy. So you need to define who your target audience is and use that as a guide in your marketing plan. There are four types of business mediums in Canada. These mediums are the sole proprietorship, partnerships, corporation and co-operatives. The main reason why people register their business is to take advantage of applicable tax deductions. Another reason is that incorporating your business will separate it from you, securing your personal assets if things do not go as planned. A while back, we covered how to incorporate your business in Canada, as well as advantages and disadvantages of each business model. Please take a moment to read that Blog post. 6) Do You Need a Business Plan? Yes, you need a business plan but not the traditional business plan that you’re probably thinking of. You don’t need thirty or fifty pages of content for your business plan. Your business plan could fit on one or two pages. Robert Kiyosaki, a businessman and author created his cashflow board game on a one-page business plan. According to Robert, his business plan wasn’t even typed up! Your business plan will act as a roadmap for you to follow. Refer to your business plan during every process to make sure you’re following it. Then, tweak your business plan when necessary. If you plan on pitching your ideas to investors, you can do so by using a presentation format like PowerPoint or Keynote. However, we assume that you’re reading this because you want to learn how to start a small business from home. So it is unlikely that you’ll need investors for that. Most home businesses can be started for less than 1500 dollars. Your business plan doesn’t have to have any special format, it just has to be readable and make sense. Your business plan should have everything you need to launch your business. It should answer all the questions for you. Questions like, do you need a storefront or a website or both? What kind of advertising method is most suitable for your business? Does your business require a lot of PR (Public Relations) work? How will you find your customers? These questions and much more will have to be answered. Not all businesses are created equal so you’ll need to do a bit of research to improve your understanding of the market. Here are 4 good reasons why you need a good business plan. Your business needs a game plan. You need to establish goals and ways to measure performance. For some businesses, performance is measured by the amount of traffic received to their website or storefront. For others it could be different. Things like, how will you start your business and when will you launch? Should be covered in your business plan. Your business plan will keep you on track by acting as a blueprint for your business. It should contain structure and projections for your business. A structure is necessary to run a business. You have to decide how you want the business to run. For example, are you outsourcing or doing the work in-house? Who will be your suppliers and why? How will the orders come in? Projections are important because you want to give yourself some goals. Ask yourself how much money you expect to make in six months or one year. Having revenue goals will help you stay focused on tasks that help your business make money. Whether long-term strategies like SEO or short-term strategies like marketing your website with PPC (Pay per click), you need to include this in your business plan. There will be many times that you’ll feel so motivated that nothing can stop you! There will also be times that you may become discouraged with fear and doubt. At times like this, you can revisit your business plan for motivation. Knowing that you are doing all the right things can re-balance your emotions. You generally don’t need huge amounts of capital to start a small business but if you plan on raising capital for your home business, a business plan will increase your chances of success. Investors respond better when you have a business plan because you can communicate your vision to them in a clear and compelling way. The purpose of a business is to generate revenue or income. If your business has no way of generating income, then you don’t have a business. You need a method of generating revenue from your business. This is something that you have to decide on. Here are some examples of how some businesses generate revenue. A charity organization may generate revenue by donations and advertising. A Blog may generate revenue by selling advertising space. A carpenter may generate revenue by selling products to consumers or teaching people carpentry. Whatever method of revenue generation that you decide on, ensure that it suits your business. Just launch! Don’t waste time and launch as fast as you can. If you move fast, you’ll avoid the enemy of all progress, procrastination. Once you have a business plan, move quickly and launch as fast as you can! Some small business owners launched without a business plan on paper but had it all figured out in their minds. This technique will work for some people but not everyone. To help you understand how to launch, let us use some examples. 1) Let’s assume that you wanted to start a small business from home, selling used cars. A good way to launch is to build a website and list your cars on your website. You’ll also want to list your used cars in local newspapers and local online classifieds like Kijiji. In most cases, the local online classifieds and a professional website will be all you need. To market other cars in your inventory, you can provide your website link on newspapers and local online classifieds pages. 2) Let’s assume that you wanted to start a business, selling guitar lessons. You may want to visit local schools and post your flyer on their boards. You’ll need a simple website, a Facebook page and a Twitter account that tells people what you do, as well as your contact information. Keep your Facebook page and Twitter account active to attract more followers. These followers may become clients later. Post your services on local online classifieds like Kijiji and specify how much you charge by the hour. That’s all it is, you launched! 3) Assuming that you wanted to start a business from home, selling painting services to consumers. You’ll need a website that explains what you do and your contact information. You should also add your services to online local classifieds. You can also design flyers and send them to homes in your area by Canada post. The above examples show how easy it can be for you to launch your own business from home. Starting a small business can mean the difference between living paycheck to paycheck and financial freedom. Be ready for the best ride of your life! By making the decision to learn how to start a small business from home, you’re entering a business school. Why go to business school when you can create the circumstances that force you to learn about business through first-hand experience, independent study and research. Follow your dreams and remember that even if you fail on the first try, you’re only failing your way to success. Why? Because you’ll become smarter every time that you try something else. However, don’t fail, the goal is to win!